Some people ask us why they should bother getting a professional waste removal in Whetstone, N20, when they could do the work themselves. Clearances are difficult work, and take a lot of time and effort. You will need to take time off, rent a van, depending on the size of the job, and of course work out the best places to go to deposit your load. We can do all of that hard work for you. We know how to arrange and transport various items that you may need to dispose of. We know that Whetstone rubbish disposal is best dealt with when you have a team, rather than just a couple of people and a van. What’s more, for a certain price, you just don’t have to worry about it! What could be better than the issue of waste removal suddenly not being an issue? 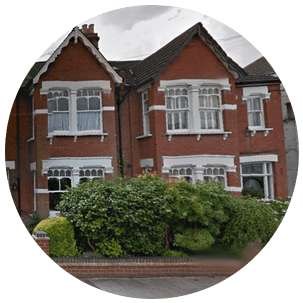 We know that we have taken the stress out of many different moments in people’s lives, whether they were doing the house relocation, or moving offices. Waste removal is more than just chucking things out, it is a big shift in a process, whether domestic or commercial. If you feel like you could get on board with the way we work in our N20 rubbish removal services then get in touch on 020 3540 8282. Here at Handy Rubbish, we are always around to answer the phone and make sure that you are looked after. When you are looking into waste clearances N20, we can help you. Whilst you may be thinking that you could get it all to the tip yourself, you might be doing yourself a disservice. We can arrange for everything to be taken and sorted into more useful forms of waste disposal Whetstone. Whether you are getting rid of old junk or building waste, many things can be recycled. We also know that renting a van and getting the job done yourself can still be expensive, and so take it upon ourselves to keep our prices low. Why you should bother with all the effort, when we can do a better job for less? Our Whetstone, N20 waste collection team is highly experienced, and can do the job with ease at lowest prices. We can offer you an amazing value on Whetstone rubbish clearance N20. 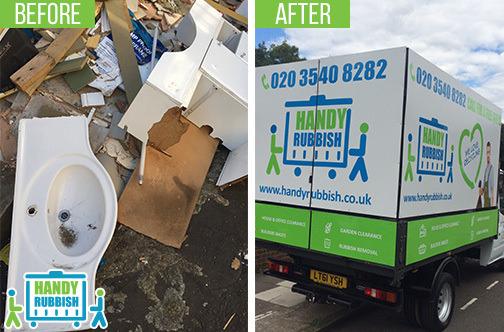 Make a call Handy Rubbish today on 020 3540 8282 to find out more about how we work, and how we can help you tackle your junk disposal. Low-cost waste collection, speedy delivery in N20 and polite customer service team in Whetstone! Whetstone is an area in the London Borough of Barnett, in the north of London. It is near to another called Totteridge, and the two are joined commonly, to form ‘Totteridge and Whetstone’. The area is potentially named after a stone used to sharpen blades, which there is supposedly still a chunk of outside a pub on the main street. However, the stone does not necessarily resemble a whetstone, and could well have been a simple horse mount from the past. The region is known to be the 63rd richest area in Britain, though not because of normal residential income. There is a road called Totteridge Lane which is home to various extremely wealthy residents. Historically, the area may have been home to Soviet spies in the Second World War, and was certainly a broadcast base for their news. Perhaps less likely is the idea that Winston Churchill met the Nazi leader Rudolph Hess in ‘Tower House’ in Whetstone. The area is served by the Northern line via Totteridge and Whetstone station.